Aug. 6, 2018, 10:51 a.m.
What is a Scandinavian media company’s first-ever director of public policy up against? “We can’t say that Facebook is destroying democracy, but then have our newspapers collaborate with them very, very closely, and rely on them for traffic and distribution,” Karin Pettersson, Schibsted’s new director of public policy, said. 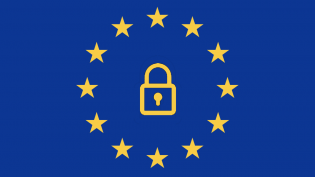 By Shan Wang @shansquared Aug. 6, 2018, 10:51 a.m.
GDPR and forthcoming ePrivacy regulations around consumer data protections. Antitrust fights and fines, new taxation proposals, a continued unpleasant relationship between technology platforms and news organizations. And no respite in sight. 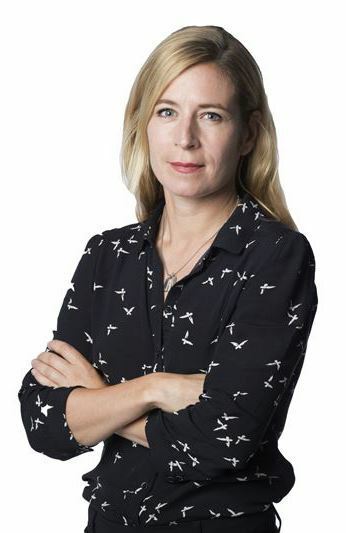 Karin Pettersson, Schibsted’s new director of public policy and the first to hold such a role within the Scandinavian media giant, is diving into the middle of these monumental policy changes rumbling across Europe. She’s acting as Schibsted’s unifying voice when it comes to the regulatory issues the company should be concerned with, and how it should be an active player in the space. Schibsted is best known for its newspapers, its online classifieds business, its internal tech prowess, and, increasingly, its public position as a foil to the scale and automation-focused forward march of far larger tech companies like Google and Facebook. Pettersson, a 2016 Nieman Fellow, was previously the political editor of Swedish daily Aftonbladet. Less than half a year into her new job, she’s still working her way through the 7,000-plus-employee media company, setting up working groups and reconciling internal strategies when it comes working with — and competing with — Facebook and Google (other companies like Netflix and Amazon are more “still in the margins of our operations”). My conversation with Pettersson about her role and about Schibsted’s vision for the company’s relationship with Google and Facebook is below. It’s been lightly edited for length and clarity. Shan Wang: I know you’re still just getting into the role. It seems like an unusual title. Let’s talk about what you do exactly. Who in the company do you regularly interact with and what policy issues you’ve decided to take on to advocate for on Schibsted’s behalf? Are you meeting with politicians, lobbyists, platform people, or are you mostly working internally and influencing company strategy that way? Karin Pettersson: I’ve been trying to orient myself, to get my bearings, to find the right people, and to learn the organization. Some of the issues we’ve been working on through the spring have been around trying to think about the bigger picture: How should we compete? How do we conceive of these platform companies? Are they vehicles for the distribution of news? Are they our competitors? Are they a threat to the world order? A threat to democracy? How should we see them and how should we see ourselves in relation to them? Of course, these are not new issues for Schibsted or any other media company. In my role, I’ll try to think about these things in the long run. Everyone everywhere else is very much caught up dealing with day-to-day business. Some of the issues we’ve been thinking about over the spring: One is, we’ve been thinking about the processes happening in Brussels, regarding how to interpret competition law. We had all been waiting for this verdict from the EU Commissioner Vestager on the latest Google ruling. Now since I’ve been on vacation, they’ve leveled this big fine, which we had been waiting to find out about. There are other processes like this ongoing in Brussels. Another is the question of taxation, where we see both Google and Facebook making a lot of money on national markets in advertising in Europe but paying low taxes. In our view, that creates two problems. First, it’s unfair competition, because we are paying much more tax than them, so they get an advantage over us. The other policy view is that in the long term, if this goes on and these companies take up bigger and bigger parts of the economy, it will be difficult to fund our ways of organizing our societies. A third aspect is the monopolistic position these companies occupy in our markets: The potential harm done to the economy in terms of stifling innovation and eating up small- and medium-sized companies. Those are just a few of the things we’re thinking about and trying to bring to the attention of politicians and to the public. I tried to organize a group of people within the company who will work on all these issues. People focused on taxation, people focused on competition, and people working on lobbying, working with politicians, on media policy issues. I’m trying to bring together all of those people who are already thinking about public policy issues and these structural issues. These are people I use as a sounding board and work with. 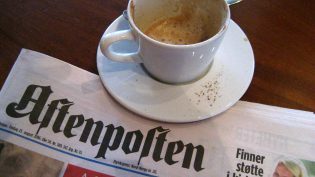 Schibsted owns a lot of newspapers — the biggest ones in Sweden, two biggest newspapers in Norway, and some big regional and local newspapers in Norway. We’re market leaders in Scandinavia. From my perspective and from the company’s perspective, it’s important that we stay, on this macro level at least, consistent. What we say has to correspond with what we’re actually doing within the newspapers. We can’t say that Facebook is destroying democracy, but then have our newspapers collaborate with it very, very closely, and rely on it for traffic and distribution. I’ve created a group of people working strategically, centered around social media, from all the newspapers, to bring them together to see if what we’re doing at this point is even coherent. It’s a really good way to discuss and create a common story and understanding of why it’s important to be cautious and why it’s important to see these companies as competitors, not as our main distribution channels, nor as our friends. Wang: Can you rank the platforms in order of concern, from most threat posed as a competitor, to less worrisome? Pettersson: It’s Facebook and Google. They are taking up a majority of the advertising money. We do think about Netflix, about Amazon, but those are still in the margins of our operations. And then of course with Facebook and Google, they are affecting the way we reach our readers, and the way our readers receive and consume our core product, which is news. So Facebook and Google are numbers one and two, depending on which parts of the operation you’re looking at. And then the rest are very distant thirds and fourths. Wang: What is your sense of how people at all levels of your organization think about news and its relation to these tech companies? Are the majority of people of the cautionary view, or are people more heads down in the sand, or are people afraid? Pettersson: I’d had a lot of talks with company leadership before this, and I think I wouldn’t have taken the job had it become clear their philosophies had been dramatically different from mine. I’ve been positively surprised that many people are on the same page. Obviously, things have changed in the past few years. Two, three, or four years ago, there would’ve been much bigger differences between people on their ideas of our role versus these tech giants. The election cycles, Brexit, Trump, and all the discussions afterwards, and the problems that came to light after Cambridge Analytica, has led to more of a common understanding of the risk that these companies pose to our core mission. So it’s important we have both a strategy and be cautious. Then there are questions internally such as, should we work with Google on subscriptions? In those cases, you’d get a few differing opinions, which I think is good. I would say, though, that the common feeling is that these companies are not our friends, as a media company, and possibly are not friends to the values we cherish either. Wang: Right now it seems as if all of your philosophies line up well. But were there any disagreements, when you were assembling groups or meeting with people inside the company? Pettersson: There were disagreements, yes. Some of those I can’t really share. I did think there would be more disagreements, actually. But both the CEO of the Schibsted media division and the CEO of Schibsted as a whole, who I report to, have been very clear and outspoken on how they see these tech companies. It sends a strong signal to the rest of the organization. I haven’t met everyone in the organization yet, but I think I have a pretty good picture now of how people see the landscape, and it’s been more unified. A few years back, when you could see all these other media players like BuzzFeed — these new cool media companies who shaped their organizations around distribution through social media — that was a point at which discussions internally at our company were much more of a range of opinions. Should we go all in on distributing on social media? Is the old way of doing things dying? Should we jump head first into this new world? Since then, so many things have happened. It’s just become clear that it’s very difficult to find a working business model even if you do everything Facebook says you should do to maximize audiences. Our biggest titles in Sweden and Norway get so much direct traffic. We never became fully dependent on social media. At this point, the feeling is more that we made the right decision not to give away too much traffic back then, and to stick with the core strategy of keeping relationships with our readers within our control. Wang: So should Schibsted work with Google on subscriptions — did you decide? Is your role to decide these specific questions? Pettersson: We have some core principles we follow. We decided, on a corporate level, that we should not take project money from Google and Facebook, whatever it is they’re handing out money for, whether it’s for interns or specific journalism projects. That’s a decision made from the top. We might have accepted money from these companies before I was here; I can’t speak to company history in every part of the organization. But the company board has made that decision not to accept this kind of money. This is all what I’m working on now. Ideally, we would’ve had enough discussions together with all the newspapers within the organization that they would arrive at the same decision on their own. That would be my ideal. We don’t have a formal organization for these types of decisions yet. I’d hope to be involved in that. Look, when we talk about the tech giants, we say they are our competitors. Of course there could be instances when it would be good for everyone to cooperate. For example, maybe we decide it’s on the subscriptions project. But we’d look into everything issue by issue. As our overarching view, though, we say Google and Facebook are our competitors, we need to be cautious, and we wouldn’t take their money to help develop our core products and the core of what we do. Wang: What about advertising, using the services offered through these platforms for digital advertising and for paying for more reach for Schibsted products? Are you going to talk about cutting that all off? Pettersson: The tricky part is, yes, we do get traffic from these places. The average traffic we get from Facebook is something between four and eight percent, and we do buy some advertising on Facebook itself for things like driving subscriptions. I sometimes think of these places like banks — you can be in favor of regulations, but you also need to use their services. It’s impossible to not deal with them, to never do anything on their platforms at all. But again, it’s good to have a clear understanding of what role they play in the economy in relation to us, which is as competitors. Wang: Do you personally deal with people in those companies to discuss how to fix broken parts of the relationship? Pettersson: I think I will do that more, eventually. I just went to this high-level journalism convening in Madrid with Campbell Brown and others who came to Europe to talk to us Europeans. And I do interact with these types of folks on national issues. For me so far, it’s been more about looking inward in Schibsted these first months. I need to understand our organization before I start interacting with these outside people. We have contact with a number of people in these tech organizations all the time. The discussions around GDPR, for instance, have been very intense. The problem sometimes is that there are certainly quite a number of people working at these companies based in Sweden and in the rest of Europe, but at the same time, everybody is well aware of the fact that their biggest policy decisions are made in the U.S. The contact we have at a national level is about practical things, and less so about these broader issues. Wang: How have you felt the impacts of GDPR since May, especially as these regulations apply to both companies like Google and Facebook but also media companies that collect and use and rely on user data? Pettersson: I think what we saw and what we have been saying is that the whole intention of the policymakers was to level the playing field between Facebook, Google, and the rest of the world of people relying on digital advertising. What happened is that, due in part to lobbying work from Google and Facebook — and it’s still not clear how this will all play out — there’s a risk that GDPR will instead end up giving Google more control rather than less. That’s a concern we’ve very much been involved with, and an issue we’ve been trying to raise. Now, what we have in the coming year is new policy proposals at the EU level around ePrivacy. I haven’t fully read up on the law, but we see it as even more important in terms of how companies will be regulating integrity and consumer control over personal data. The problem at this point on the data privacy discussion is that there’s a huge asymmetry between companies and consumers. The lawmakers wanted to give the consumers more power over their own data, but it’s just impossible at this point for consumers to leverage that control or do that much. Sure, they can opt out. But there’s no proper counterforce. These tech companies are aggregating all this data and creating a lot of money out of it. Consumers in Europe now at least have the right to opt out, and a right to know what their data is being used for. But it’s still very asymmetrical in terms of control over the data. Who can use it for making money? Who can use it for making products? It’s a long way to go until we have a healthy ecosystem that’s really protecting consumer rights, and not just around privacy, but the economic value of the data that is being extracted from them. The way it is now, it’s not completely working. 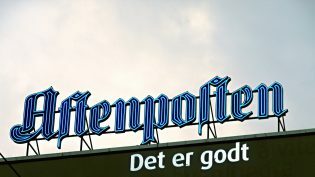 The Schibsted-owned Norwegian daily newspaper Aftenposten protested Facebook’s decision to censor the “Napalm Girl” photo in 2016. Facebook ultimately reinstated the image. POSTED Aug. 6, 2018, 10:51 a.m.
Wang, Shan. "What is a Scandinavian media company’s first-ever director of public policy up against?." Nieman Journalism Lab. Nieman Foundation for Journalism at Harvard, 6 Aug. 2018. Web. 20 Apr. 2019. Wang, Shan. "What is a Scandinavian media company’s first-ever director of public policy up against?." Nieman Journalism Lab. Last modified August 6, 2018. Accessed April 20, 2019. https://www.niemanlab.org/2018/08/what-is-a-scandinavian-media-companys-first-ever-director-of-public-policy-up-against/. | title = What is a Scandinavian media company’s first-ever director of public policy up against?